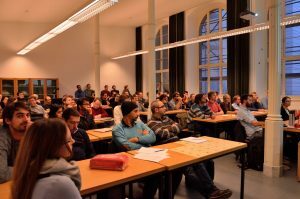 Today, the SIAM Student Chapter Aachen again hosts the Industry Meets Mathematics event. 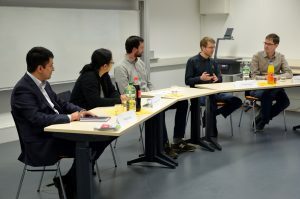 We are excited to welcome Dr. Kärcher from NavVis (https://www.navvis.com/) and Dr. Droste from INFORM (https://www.inform-software.com/) as our guests. 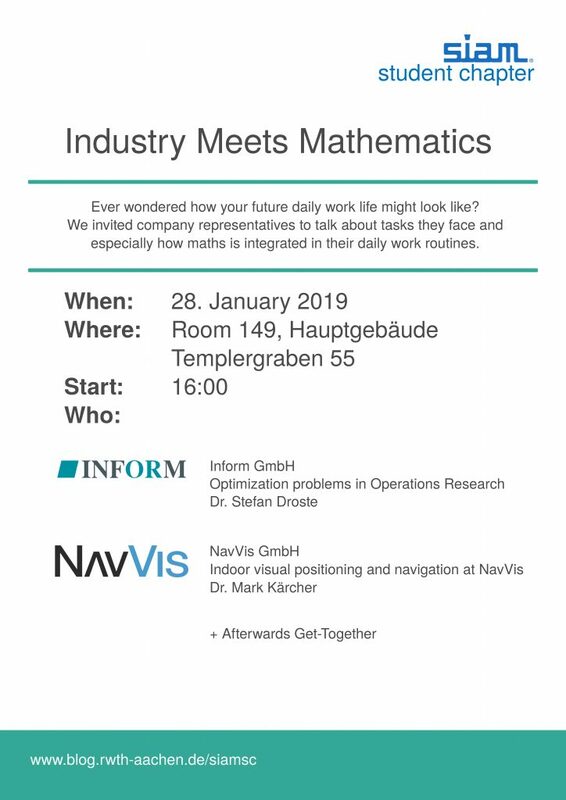 Dr. Kärcher will talk about “Indoor visual positioning and navigation at NavVis”. In his presentation, he will give insights into how to calculate the position of a user taking pictures of his surroundings – a necessity for indoor navigation. 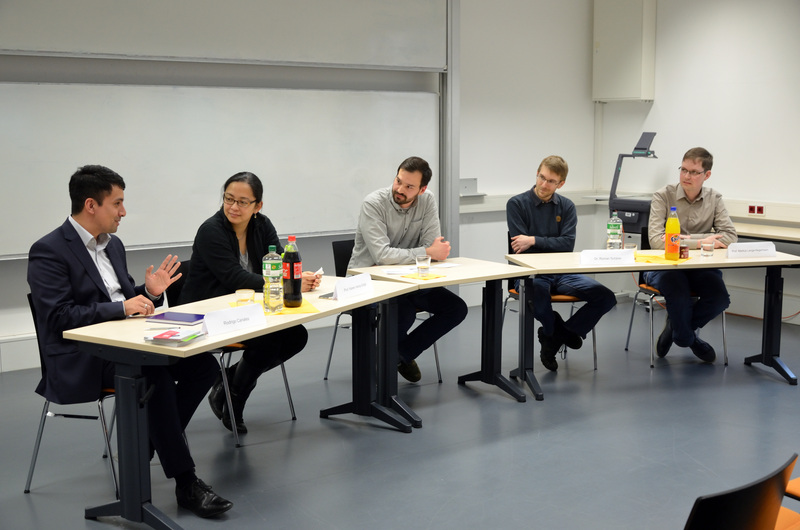 Our guest from INFORM, Dr. Droste, presents “Optimizing Real-World Problems”. This talk is about modeling production planning as a mixed integer program in order to plan production jobs on interdependent capacitated machines while minimizing backlog, holding, as well as setup costs and how to solve those problems despite millions of variables and constraints. Please refer to the enclosed poster for the venue and starting time. Last Thursday we had the pleasure to host a special edition of our IMM (Industry Meets Mathematics). 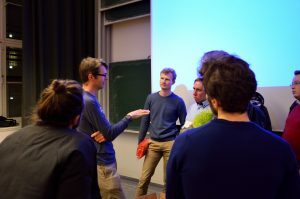 Jonathan Wellons from Google Zürich gave a presentation on “TensorFlow: Applying Neural Networks to the Arts”, covering the fundamental principles of Neural Networks, and TensorFlow, as well as some fascinating applications to art, music and object recognition. Besides, Jonathan gave some insights into Google’s recruiting process and answered all our questions. 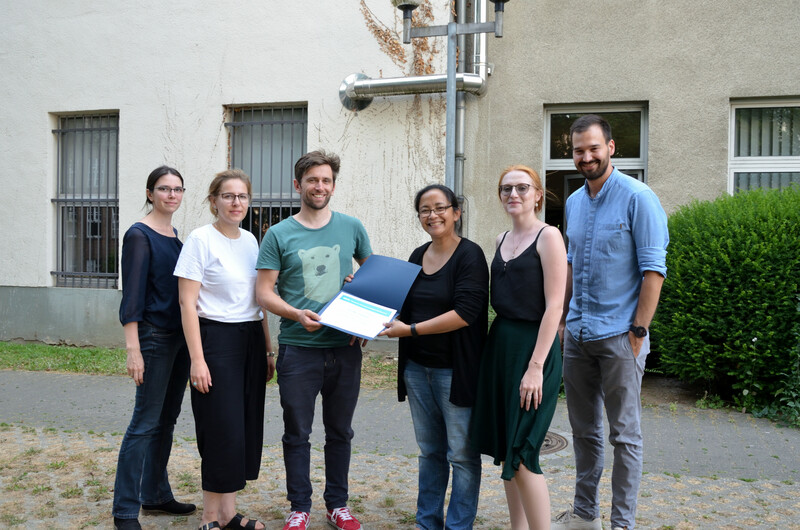 We thank Jonathan and all students for participating! PS: Here are some visuals from the event. It’s our pleasure to invite you to an “Industry Meets Mathematics Special: Google”. 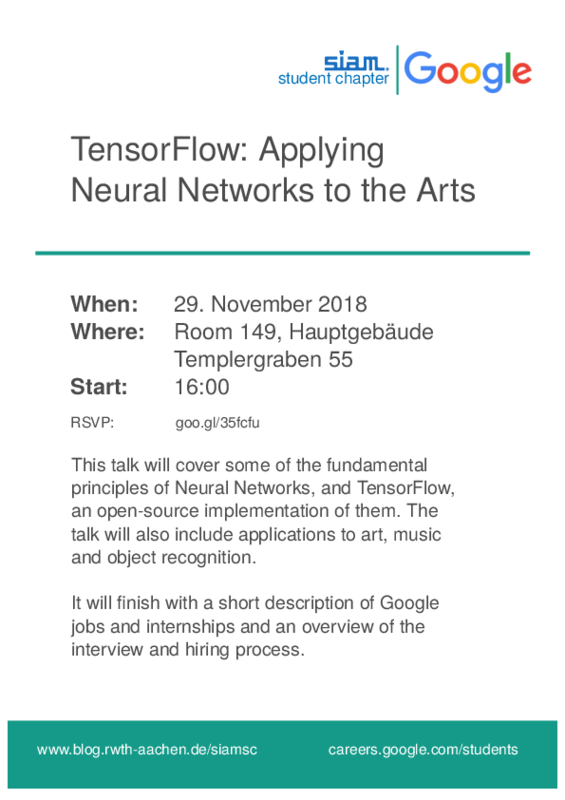 Meet one of the Googlers at this tech talk on November 29th from 4pm to 5pm (room 149, Hauptgebäude, Templergraben 55). 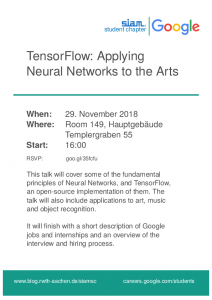 The presentation is about “TensorFlow: Applying Neural Networks to the Arts” and will cover some of the fundamental principles of Neural Networks, and TensorFlow, an open-source implementation of them. The talk will also include applications to art, music and object recognition. 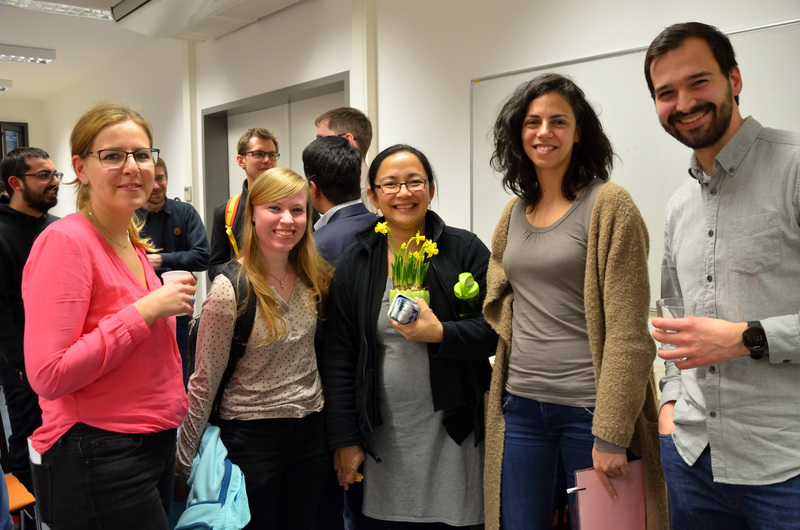 Rogowski building to mark the start of a new year in the SIAM Student Chapter. us the grill and the beer table set. and look forward to the new year with the newly-elected officers. 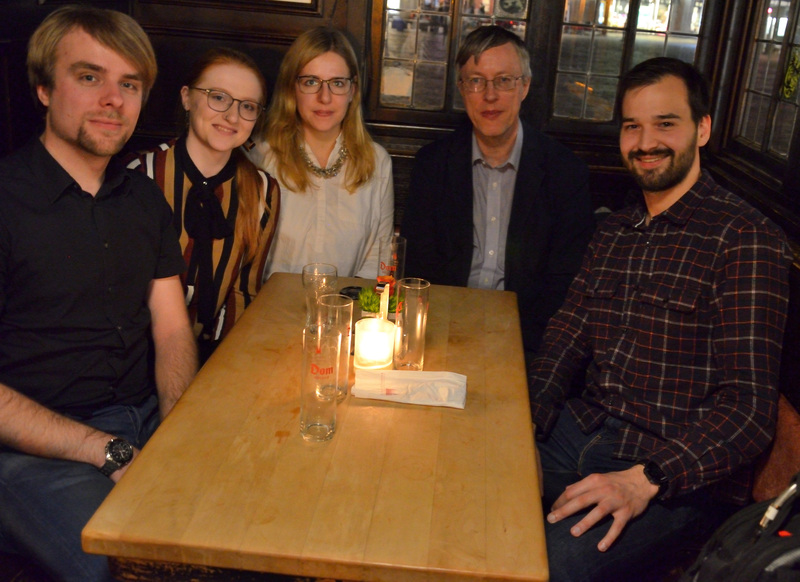 Some weeks ago we had the great pleasure to meet the president of SIAM, Prof. Higham from Manchester University. After a spontaneous sightseeing tour through Aachen city center, we enjoyed a cozy dinner in Aachen old town. We thank Prof. Higham for a great evening with lots of interesting discussions. 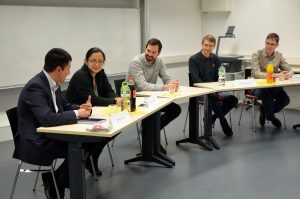 Industry or Academia? Or Both?! 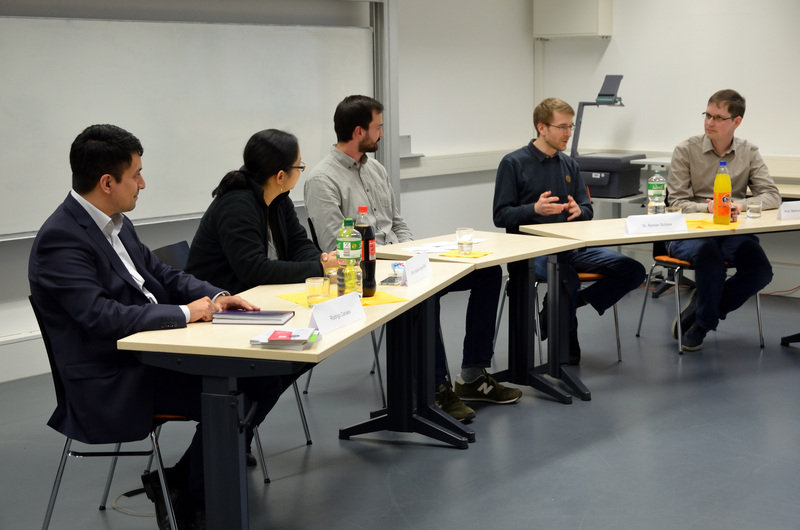 This was the main topic of this year’s carreer path panel. Our guests, Prof. Karen Veroy-Grepl (RWTH Aachen), Prof. Markus Lange-Hegermann (Hochschule Ostwestfalen-Lippe), Rodrigo Canales (Capgemini), and Roman Schaerer (Leica Geosystems) told us about their career paths and answered questions from the audience, e.g. 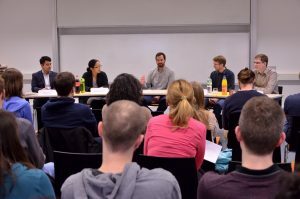 about chosing the right carreer path, switching between industry and academia, tipps and tricks for the application process, balancing family and carreer and more. 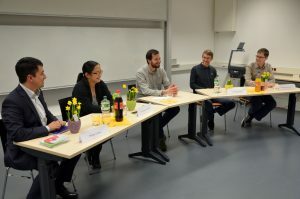 We thank the speakers and the students for this successful event! The SIAM Student Chapter is happy to announce another round of the Career Path Discussion for the fifth time. 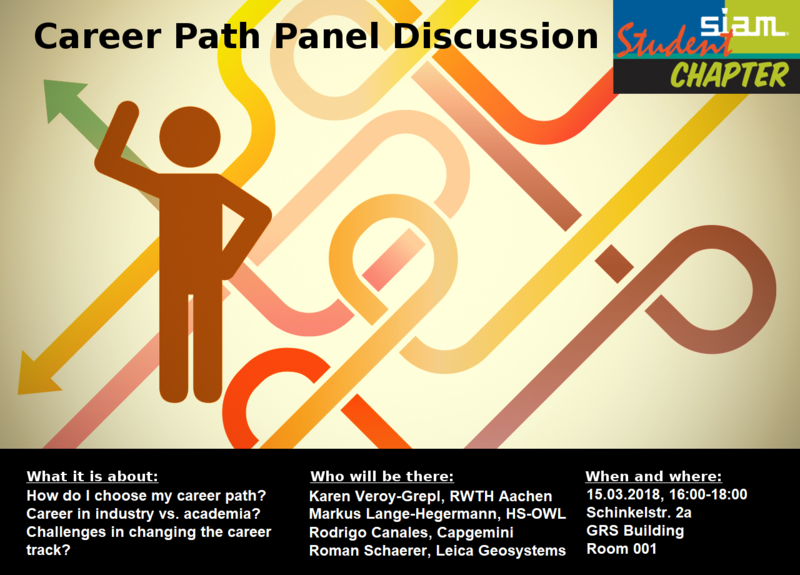 We have again invited speakers from industry and academia to talk about the career path of each of them. As usual, we will begin with a guided discussion by our host. After a short break, the audience is kindly invited to ask questions to each of the participants. Snacks and soft drinks will be provided. This event is targeted towards mathematics and science students who want to know more about possible career options and the paths leading towards those. Everybody is welcome! 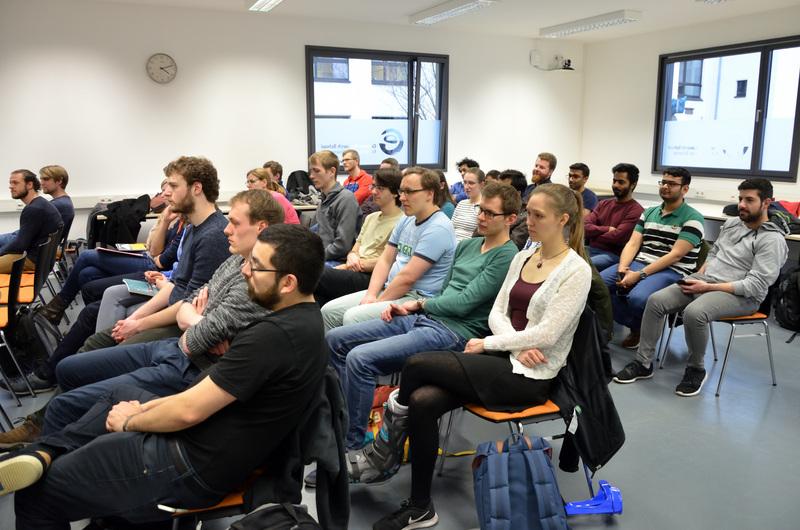 The event will take place on the 15th of March in the GRS001, Schinkelstr. 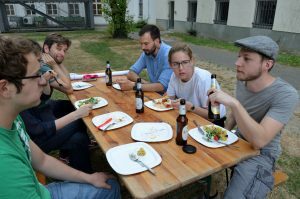 2a, German Research School, starting at 4pm. The Student Chapter will hold a BBQ on the 21st of June at 5:30pm behind the Rogowski building. We will additionally use this opportunity to hold the elections for the officers for the academic year 2017/18. Therefore, you are all kindly invited to take part in the election which will start at 5pm, also behind the Rogowski building. 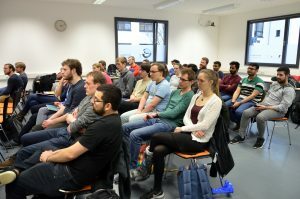 This should also give new members the chance to gain some insight into the structure of the Student Chapter and possible ways to participate actively. to celebrate the good weather, the Student Chapter would like to invite all of you to the first SIAM SC BBQ! The event will take place on the 21st of June, starting at 5:30pm behind the Rogowski building (in front of the “Aerodynamisches Intitut Aachen”). The Student Chapter will provide drinks and food for free, but you are very much welcome to bring something on your own as well (like salads or dessert or similar). To be able to organize everything accordingly, we would like to ask you for a confirmation mail, where you roughly state what (and how much) you’d like to eat and drink. 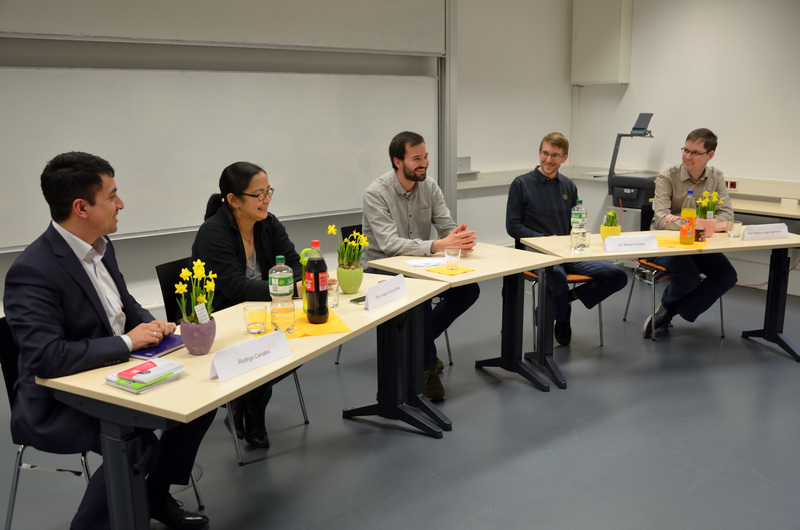 Join us for this month’s Stammtisch for a round of Poker on March 21st in the Rogowski building, room 328. We will start at 7 pm. 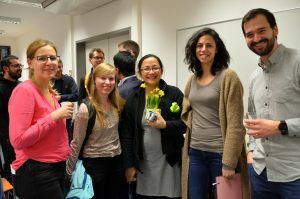 Everyone is welcome to join – especially new members who want to get to know the Student Chapter. Bring your own beverages and food. 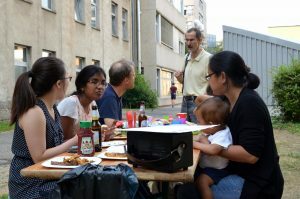 Everybody is invited to join for lunch! We’ll talk about future activities of the SIAM Chapter. Come by and bring you ideas!